You can find packages of this new version for GNU/Linux and Windows on the download page. This update will also be available in a few days on the Android and Windows store. For Raspberry Pi, we'll provide an installer in the beginning of 2019. The updated versions for MacOS and iOS are still not available, we hope to be able to release those during next year. On GNU/Linux and Windows, we used to have two separate installers for OpenGL and software rendering. Now both rendering modes are available from the same installer. By default we try to use the OpenGL rendering, and if not working, we show an error and switch to the software rendering. This automatic switch is new and may not work everywhere. In case it doesn't, you can manually select the software rendering mode by editing the configuration file (in ~/.config/gcompris/gcompris-qt.conf for Linux, %LocalAppData%/gcompris/GCompris.conf for Windows): find the line "renderer=auto", replace auto with software and save the file. We are also interested to get some feedback to help us improve this auto-detection. Here is GCompris 0.91, a new bugfix release to correct some issues in previous version and improve a few things. Every GNU/Linux distribution shipping 0.90 should update to 0.91. With 68 commits since last release, the full changelog is too long for this post. But here is a list to summarize the changes. You can find this new version on the download page, and soon in the Play store and Windows store. On the translation side, we have 16 languages fully supported: British English, Catalan, Catalan (Valencian), Chinese Traditional, Dutch, French, Greek, Indonesian, Irish Gaelic, Italian, Polish, Portuguese, Romanian, Spanish, Swedish, Ukrainian. We also have 15 languages partially supported: Norwegian Nynorsk (97%), Hindi (96%), Turkish (90%), Scottish Gaelic (86%), Galician (86%), Brazilian Portuguese (84%), Belarusian (84%), German (81%), Chinese Simplified (79%), Russian (78%), Estonian (77%), Slovak (76%), Finnish (76%), Slovenian (69%), Breton (65%). If you want to help completing one of these translations or adding a new one, please contact us. Else you can still help by making some posts in your community about GCompris and don't hesitate to give feedbacks. Also, we introduce a new "light" version that doesn't require OpenGL to run. This means that it should work on any computer. We provide some special windows packages using this option, and also the standalone installer for GNU/Linux 32bit is using this option. In this light version, the transparency gradient on the menu is gone, and we had to adapt a dozen of activities that will look a little different in this mode, but should still be usable. The source tarball, the windows and the GNU/Linux installers are signed. You can retrieve the public key over https here: 0x63d7264c05687d7e.asc. We are pleased to announce the release of GCompris version 0.80. If your distribution doesn't provide an updated package, use one of those standalone installers. They must be launched from command line, after adding executable permission on the file. (based on Centos7 - will not work on distributions with older system libraries). On the translation side, we have 17 languages fully supported: Belarusian, British English, Brazilian Portuguese, Catalan, Catalan (Valencian), Dutch, French, Galician, Italian, Norwegian Nynorsk, Polish, Portuguese, Romanian, Spanish, Swedish, Turkish, Ukrainian; and some partially: Breton (75%), Chinese Simplified (88%), Chinese Traditional (90%), Estonian (91%), Finnish (63%), German (92%), Greek (90%), Hindi (98%), Russian (88%), Slovak (88%), Slovenian (80%). If you want to help, please make some posts in your community about GCompris. just in time for Christmas, we are pleased to announce you the new GCompris version 0.70. It is an important release because we officially drop the Gtk+ version for Windows to use the Qt one. Everyone who bought the full version for the last two years will get a new activation code in a few days. Also, for people who like numbers, we are beyond 100000 downloads in the google play store. voices added for Portuguese Brazilian by Marcos D.
On the translation side, we have 15 languages fully supported: Belarusian, British English, Brazilian Portuguese, Catalan, Catalan (Valencian), Dutch, Estonian, French, Italian, Polish, Portuguese, Romanian, Spanish, Swedish, Ukrainian and some partially: Breton (82%), Chinese Simplified (93%), Chinese Traditional (91%), Finnish (70%), Galician (93%), German (97%), Norwegian Nynorsk (98%), Russian (83%), Slovak (85%), Slovenian (88%), Turkish (77%). After 7 months, we are proud to announce the new version of GCompris 0.61. One important change on the commercial side of GCompris. Bruno Coudoin is now replaced by Timothée Giet as the commercial entity. 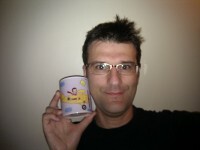 Timothée is a graphic artist with a long list of contributions on GCompris and in the KDE community. After 16 years of continuous development on GCompris, Bruno is willing to step down and gives the opportunity to a new team to bring the project forward. For now, all sales go to Timothée and he is in charge of the commercial support. There are no changes in the licensing nor in the development process which is still under the responsability of the KDE community (Johnny Jazeix being the most active contributor). A tangram (by Bruno Coudoin). It starts with children friendly levels to introduce each concepts little by little and end up in the real tangram. Explore the monuments of the world (explore_monuments by Ayush Agrawal during SoK). An activity in which the children must color a graph so that no two adjacent nodes have the same color (graph_coloring by Akshat Tandon during SoK). Pilot the spaceship towards the green landing area (land_safe by Holger Kaelberer). Find the differences between the two pictures (photo_hunter by Stefan Toncu). 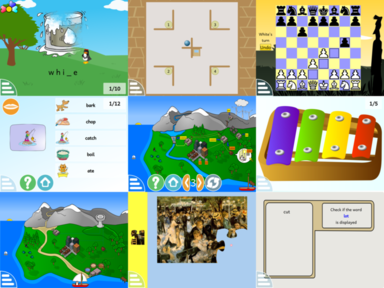 Timothée Giet updated images for chess, hangman and horizontal/vertical reading activities along with the gcompris logo. Lots of little fixes/improvements have been done (storing and restoring the window's width/height at start-up, docbook updated, levels/images bonus, adding an internal dataset for words games so that we no more expect the network to run GCompris (except for the voices but they also can be bundled in the binary). For Android it is available on the Google play store. I am glad to announce that GCompris is now available on the Apple iOS store (iPad and iPhone). Two years ago I just went out with the insane project of rewriting GCompris in Qt Quick and provide a version to mobile users. Many of you joined the project and made the dream comes true. 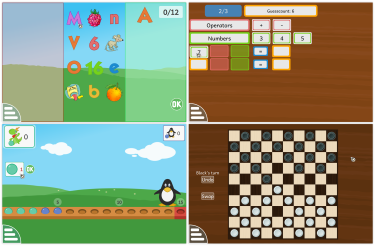 We now have a free software for children available on all major platforms and most important we give them the ability to choose a free operating system. We now have a solid software foundation, a vibrant little community and almost completed the Gtk+ port. There are still many things to do. I would like to see more innovative activities, we can experiment, exchange with teachers and find activities that will help them and the children in their teaching. Just on time for Christmas and after 6 months of hard work we are shipping GCompris 0.50. So far we have many fixes and improvements all around in 563 commits done by 17 contributors and more than 20 translators. Bruno: A single player and two player chess activity. It shows the children the possibilities of each pieces and is very easy to win against at first levels. Bruno: An activity where the children listen to the sound sequence played, and reproduce it by clicking on xylophone's bars. Siddhesh Suthar (part of GSoC): The children is proposed a set of words. Each word is shown with a voice, a text and an image. When done, an exercise asks him to find the right word given the voice. Pulkit Gupta: A puzzle with famous paintings. Johnny Jazeix, A reading practice activity. Some words are moving, it trains the children to read. Sagar Chand Agarwal (part of GSoC): A scientific simulation where the children click on the different stages to make up the power supply. Sagar Chand Agarwal (part of GSoC): The water system. In it, the children has to click on different active elements: sun, cloud, pumping station, and the sewage treatment plant, in order to reactivate the entire water system. Holger: A fine motor skill practice activity. The children must navigate the ball to the door. Be careful to not make it fall into the holes. On mobile it uses the accelerometer. For this activity we have integrated the box2d engine ( https://github.com/qml-box2d/qml-box2d ). Rajdeep Kaur: The classical hangman. The children must guess the letters of the given word. To help, on every wrong try, a part of the image representing the word will be revealed. Languages supported: Brazilian Portuguese, British English, Catalan, Catalan (Valencian), Chinese Simplified, Chinese Traditional, Dutch, Finnish (92% translated), French, Galician, German, Italian, Norwegian Nynorsk, Polish, Portuguese, Russian (98% translated), Slovak (92% translated), Slovenian, Spanish, Swedish, Turkish, Ukrainian. A loading overlay is now available to let the user know that some actions (loading a level in an activity for example) is taking place and can take some seconds. We also fixed visual glitches in some activities due to a misuse of ColorOverlay and Colorize items. Thanks to all of you who step by step make GCompris the outstanding educational software it is now. So far 2 years after the start of the Qt Quick port we completed the rewrite of 114 activities out of the 140 of the Gtk+version. You can check the status of the port. If we keep this momentum we can expect to announce the completion of the port somewhere next year. The Randa meeting is an annual KDE sprint that takes place in Randa, Switzerland from the 6th to the 13th of September. Participants donate their time to help improve the software you love and this is why we need money to cover hard expenses like accommodation and travel to get the volunteer contributors to Randa. The Randa Meetings will benefit everyone who uses KDE software. This year, the GCompris team will go to Randa Meetings to continue and finalize the Qt Quick port. 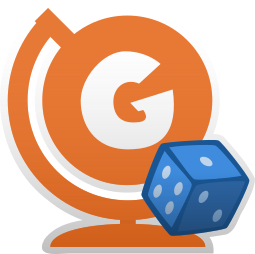 After one and a half year of development we ported 100 activities on the 140 of the Gtk+ version. We have several activities in the pipe coming from our Google of Code students. In Randa we will continue the review and integration of the pending activities, and define how we will implement the most challenging ones that remains to be ported. We will also take this opportunity to record the voice of any participant to improve our international support. You can support the Randa Meetings by making a donation, following the official page. The release 0.41 is available on the Google play store. 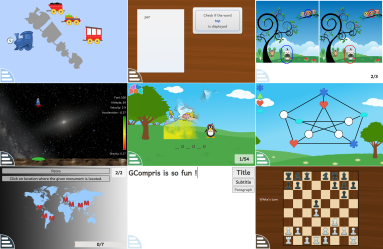 Since last version (0.34), we added 17 activities making GCompris going over 100 activities (103 to be precise): algebra_div, babymatch, babyshapes, braille_fun, chronos, details, geo-country, geography, hanoi, hanoi_real, imagename, intro_gravity, louis-braille, simplepaint, superbrain, tic_tac_toe and tic_tac_toe_2players. Moreover, thanks to KDE translation teams, we have 16 languages fully supported: Ukrainian, Swedish, Spanish, Slovenian (new), Portuguese, Polish, Norwegian Nynorsk, Italian, German (new), Galician (new), French, Dutch, Chinese Traditional, Catalan, British English and Brazilian Portuguese. Also, following out indiegogo campaign, Timothée Giet managed to update all icons (activities + core ones) along with some background images. You can see the result in this video. Color mixing, fixed broken image on some system. Fixed text position. Fix a crash in restricted profile. On many activities, normalized difficulty levels. Now level 1 does not require reading skills. Ukrainian (Yuri Chornoivan), Swedish (Stefan Asserhäll), Portuguese (José Nuno Coelho Pires), Polish (Łukasz Wojniłowicz), French (Ludovic Grossard), Dutch (Freek de Kruijf), Chinese Simplified (Weng Xuetian), Brazilian Portuguese (Luiz Fernando Ranghetti). Norwegian Nynorsk (Karl Ove Hufthammer), Italian (Vincenzo Reale), Catalan (Antoni Bella Pérez), British English. Bruno Coudoin, Burkhard Lück, Holger Kaelberer, Johnny Jazeix, Karl Ove Hufthammer, Luigi Toscano, Paolo Gibellini. We are happy to announce that we published on Google play store the first public version of GCompris. One year ago we made the hard decision to fully rewrite GCompris in QtQuick in order to address tablet users while keeping PC compatibility. As you can imagine it is a daunting task and something for sure that cannot be done alone. Thanks to the help of the many contributors who joined the project we have been able to port 86 activities out of the 140 of the legacy version in a year. See the status report. We hope to complete the port in the coming year. We continue to polish the new version every day but we already provide a better user experience than the legacy version. We would like to take this opportunity to thanks the KDE community at large who took us under its cute umbrella and allowed us to attract numerous contributors, developers, translators and provided us development support. Some numbers, within a year GCompris had 1211 commits made by 19 contributors representing 34000 lines of code plus the 8 KDE translation teams who reached 100% (Ukrainian, Swedish, Portuguese, Polish, French, Dutch, Chinese Simplified and Brazilian Portuguese). As you will see, the full Android version is sold for 6€ now but the price will have to be adjusted to find the optimal one. Software development is a lot of work, paying for GCompris is a good way to reward us and give us the opportunity to sustain the development on our beloved project. Another very easy way to help us is to share the news and rate us on Google play. We are launching a crowd funding campain with the goal to bring a new improved and unified graphics to GCompris. Currently the graphics are one of the weakest part, as they were mostly done by the developers, using free graphics assets and sparse graphic artist contributions. To address this problem, we found Timothée Giet, a talented graphic artist interested in working on a complete graphics redesign. He is a long standing Free-Software contributor, active member of the Krita team and so part of the KDE community. Making new graphics for more than 100 activities is a big work, so we need your help to achieve this goal..
Be a part of bringing reading, writing, and arithmetic to 250 million kids. 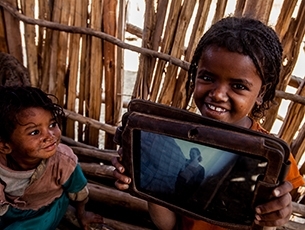 XPRIZE has launched the Global Learning XPRIZE to incentivize teams to create tablet-based Open Source software that will teach a child to read, write, and perform arithmetic, fully autonomously. The impact of this technology is to bring literacy to over 250 million children around the world. Give a child the gift of literacy. Do you think GCompris has something to bring and should participate. Do you have ideas on how to reach this goal? Join the GCompris developer mailing list and tell us, we need your feedback, we need you. GCompris is now officially a KDE application. As such, our development community is proud to participate for the first time to the KDE Randa meeting. This is an excellent opportunity for the GCompris developers to meet in real life and get in touch with experienced KDE developers. Please consider making a donation to help us finance this development sprint. Added missing timer images (the balloon) in the multiplication table activity. Added support for multigraph languages in click_on_letter by GunChleoc. Added a font selector in the config dialog box by Bruno Coudoin. This feature replaces the skin selector. Removed the skin gartoon as it is useless now. Added a cute background to hexagon by Bruno Coudoin. The background comes from openclipart.org. Updated FSF's address by Daniel Mustieles. Geography, fixed reference to sri_lanka.ogg by Bruno Coudoin. Hangman, added missing word files by Bruno Coudoin. The Scottish Gaelic word list was not installed. Added a French word list. Fixed support for accentuated letters. The code that also check for accentuated letter in the word to find was broken. Fixed administration to accept UTF-8 user entries by Bruno Coudoin. Fixed login by text entry by Bruno Coudoin. Fixed admin log list, user 0 was missing by Bruno Coudoin. Fixed a typo in the help ctrl-x is now ctrl-q by Bruno Coudoin. Awale activity, fixes some bugs especially party end by Nicolas Adenis-Lamarre. Leftright, fixed manual. better button name for translation by Bruno Coudoin. Fixed wartercycle and hydroelectric activity click events by Hans de Goede. Added bonus files from gartoon skin by Bruno Coudoin. Windows installer, fixed image format by Bruno Coudoin. Config dialog layout change to make more room for texts by Bruno Coudoin. Lang, fixed 'back to last level' mode by Bruno Coudoin. Fixed call to bonus so that we properly log success to each exercise. Lang, fixed startup sequence in remember level mode by Bruno Coudoin. The ready button was bypassed in remember level mode. Lang, fixed a python exec error case by Bruno Coudoin. If we have an error in the startup sequence a variable was used non initialized. Lang activity, replaced http://laske.fr/abecedarium/ by our own online version at http://gcompris.net/activity/lang (global replace in the code and the translations). Administration, layout improvement by Bruno Coudoin. the module labels was too large. replaced them by tooltips. click-on-letter, added french accentuated letters. Fixed Russian translation by Stas Solovey. Updated Brazilian Portuguese translation by Adorilson Bezerra. Updated Brazilian Portuguese translation by Enrico Nicoletto. Updated Brazilian Portuguese translation by Rafael Ferreira. Updated Czech translation by Marek Černocký. Updated Danish translation by Joe Hansen. Updated Dutch translation master by Herman van Beem. Updated French translation by Bruno Coudoin. Updated German translation by Christian Kirbach. Updated Greek translation by Yannis Kaskamanidis. Updated Lithuanian translation by Aurimas Černius. Updated Scottish Gaelic translation by GunChleoc. Updated Serbian translation by Мирослав Николић. Updated Spanish translation by Daniel Mustieles. Updated Spanish translation by Milagros Alessandra Infante Montero. Updated russian word list by Mayya Sharipova. Updated word list for gd by GunChleoc. I have been particularly discreet for several months. It is not a sign of disinterest in this project, quiet the opposite. 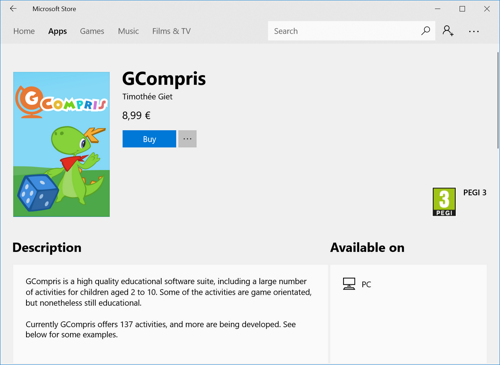 In fact as you imagine, many users are requesting us a tablet version of GCompris and I tried to evaluate the different technical possibilities to bring GCompris to this world. Sadly, Gtk+ the core technology we are based on does not provide any easy way to run on tablet. The main requirements for me was to be able to have a single code base that would let us target the main desktops and the main tablets. It is based on an OpenGL scene graph, we can create shader and particles to make graphical effects and do smooth animations. In order to validate this choice, I did a prototype and this convinced me that it was a pertinent choice for GCompris. Even if this is a new technology, the learning curve is acceptable, with very few code you can create a very good looking activitiy. In my test it takes about half the lines of code to make the same activity in Qt Quick than we used to in Python and we get a better graphical quality. The bad news is that it is not compatible with the current version of GCompris and it requires a full rewrite. All we can keep is the game logic and tuning, the texts, the translations, the graphics and the sounds. I just published the GCompris-qt version on GitHub and updated our development page to give some starting points to build it yourself. For those who don't want to compile it, you can look at the little video. Another important point, since this is not based on Gtk+ this new version cannot be hosted by Gnome as we used to do. Therefore we cannot participate in the Google Summer of Code under the Gnome umbrella. I thus registered GCompris for this year session of GSoC and Frederico Goncalves Guimaraes accepted to be the official co-mentor. If you are interested in helping GCompris, I encourage you to learn Qt Quick and to help port some activities. This is a good opportunity to learn a new technology while doing something useful. I still have to refine and document the process to create a new activity but it is not very complex. GCompris on Gtk+ has been around for 14 years. It is true that the migration will take time, probably several years but this is something we have to do if we want to stay relevant in the coming years. A new activity in the reading section that presents a set of image, text and voice to children and an exercise set around them. This includes about 1000 images and voices in English, Spanish, French, and Gaelic-Scottish. The images and voices come from the Art4Apps project, a big thanks to them for providing a such useful resource (under CC BY-SA). If you want to thanks Art4Apps for their hard work please consider making a donation on their site. If you want to have a look at what this new activity is about, you can play it online. A rework of many text related activities to support multigraph languages. This is driven by a team of Gaelic-Scottish users. Added the font face use in GCompris in the skin configuration file. It is possible to select another font by manually changing it with one installed on your system. For example, In boards/skin/babytoy/skin.xml find the line "font id="gcompris/fontface" name="sans" and replace "sans" by "ruluko". Ruluko is a font provided by Google under the SIL Open Font License 1.1 designated to aid those learning to read. In the future selecting the font should be made available at the configuration level. By popular demand, there is now a simplified version of the submarine activity, now there is an easy first level. Added tooltips to explain items. Fixed a crash case after leaving intro and land_safe activity. New country map of Scotland by Fòram na Gàidhlig. Fixed colors values in the advanced color activity. This page reports the old and new value. Added support for remembering last passed level by Roopesh Shenoy. With this option when the children enters an activity the last succeeded level is proposed. Now the intro voice is played when help is clicked. Updated Brazilian Portuguese, Breton, Czech, Danish, French, Galician, German, Greek, Hungarian, Latvian, Lithuanian, Polish, Russian, Scottish Gaelic, Serbian, Serbian Latin, Slovak, Slovenian, Spanish, Tamil. Look at the translation status here. Our web site was ten years old, a major refresh was more than needed. This new one is no more based on a CMS engine but is coded in python with the jinja2 template engine and generated statically. The site is now generated on the fly including the screenshots pages. Very important, the new site translation is managed through po files like the GCompris code base making it easier for translators to localize the web site. A few month ago a developer team made an iOS port of GCompris. They just made another port, this time for Android. It is available under the name 'yellow duck' on Google Play. The code is under GPL but you have to ask them to get the source, there is no public repository. There are a lot of activities, sadly many are not enough polished as we may expect but what this team did is impressive. I am glad to announce that a small developper team made a clone of some GCompris activities running on iOS (Apple iPhone / iPad). It is named 'Yellow Duck'. It works like GCompris on Windows, you can dowload it for free and perform an in app purchase to access all the activities. Of course, as they use the resources in GCompris that are for most under GPL, their software is also released under GPL. The GCompris development team is happy to propose you a new version of GCompris numbered 12.11. This release includes 13 new activities, probably more than any release of GCompris so far. 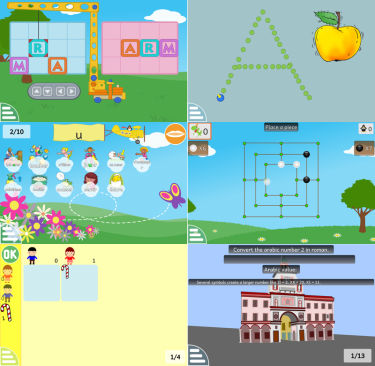 GCompris is a popular high quality educational software suite comprising of numerous activities for children aged 2 to 10. And when we say multi-activities, we really mean a lot. 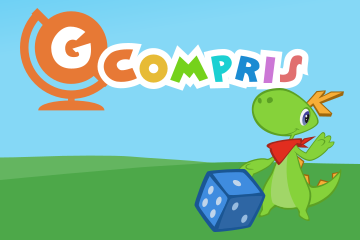 We now have 136 activities in GCompris! I would like to give a special thanks to Gnome and Google for their support in allowing us to have two students working three months full time on GCompris last summer. Learn to play melodies on the piano keyboard! Who said GCompris does not run on tablet ? You don’t imagine the number of people complaining the GCompris does not run on tablet, phone and tv. It is way too much work to port it. I am glad to show the world that choosing the proper hardware, developers don’t have to recode everything. Look at the video here. The release 12.05 is mostly a maintenance release, no new activities have been included. Many bug fixes and translation updates. Management of sounds in the bar. removed the bleep and play the level in interrupt mode. Wordsgame: fixed hungarian word dataset, the level 2 was missing. It made reading activities crashing in Hungarian. Braille_alphabets: fixed level with numbers, was generating a python error. Geography: fixed reference to audio files for sudan and congo. Geography-activity: fixed the name of antartica to be properly spelled as antarctica. Instrument activity: fixed wrong instrument bass drum was really a snare drum. Lang activity: reworked the number level using images from wikicommons. Lang activity: inprogress, added many images. Lang activity: now play the sounds in interrupt mode, better user experience. Lang activity: added hightlighs on buttons. Core: fixed the command line option --difficulty which was not working. Electric: cleanup, removed unused image. Electric: added a red led. replaces the diode. Electric: fixed a simulation issue. there was a missing recalculation when a component blows up. Electric: now each wire is draw with a random color. Core: in case no activities are selected display a nice error message. Tools: added a tool to display the list of missing voices of a given language. Animation activity: fixed the implementation of the z order management. Windows: upgraded to gtk+-bundle_2.24.10-20120208 This fixes an issue in which users on Windows XP with a 16 bits display color depth could not start GCompris. Gabor Kelemen: Updated Hungarian translation by Istvan Somlai. Karl Ove Hufthammer: Updated Norwegian Nynorsk translation. Lavanya gunasekaran: core: no more crash if we fail to write to the database. Matilda Bernard: Geo_country: added china countries. Mike Karfunkle: Drawnumber activity; now the dots are in random orders each time we play this activity. Sowmya Ravidas: Money activity: the bonus lost is now displayed in case the children click ok and the answer it wrong. Marco Menardi: Italian voices: voice set has been cleaned (removed noises). Philip Morris: English voices: Julia Wycherley sent us some updated voices. Guessnumber: fixed a potential crash at exit time. Give focus on the entry box. Braille fun: added audio feedback. Baille lotto: fixed not to go back to the main menu at the end. Improved it a little bit the layour to accomodate with longer translated text. Added sound effects. Shapegame: Fixed a random crash in shapegame activities that happened while dragging a piece. Minor, now clicking on the left/right image selector does not trig the ok check. Instruments activity: added a check for sound availability in the icon menu. Now the background music is muted when entering this activity. Memory: minor fix in memory activity to fix their reference to their mandatory audio file. Without this, a little audio error does appear at run time in the activity icon. Sadly, GCompris was not working at all on Windows Seven. I just made a new binary version (gcompris-11.12-2.exe) that fixes the problem. wordlist in Spanish: added more words to the spanish list. By Germana Oliveira. Updated French translation, there was a string with the text being there twice causing the gnumch activity to have the text over sized and unreadable. minor: made bigger icons to avoid pixelized icon in desktop task switchers. core: now handle the ’C’ locale as en_US Currently a ’C’ locale was interpreted in GCompris by Catalan. Braille lotto to remember Braille numbers. click on letter uppercase: same as click on letter but with only upper case. Now the old activity ’click on letter’ poposes only lower case. erase activity: added new animals from picture by Adrien Grellier and Claire Gegout from their Antarctic trip. shapegame activities: now we display the ok button when all shapes are placed even with errors We also show a red cross indicating the children errors. Thanks to Arnaud Limon for the suggestion. Fixed a potential crash when a piece was overwritten by another in their wrong position. Changed the combo locale system to display the language in their textual form instead of their locale code. Maintain them sorted to make it even easier to use. Now activites with locale configuration use this feature. Mostly full rewrite of the click on letter activity to allow a specific configuration per language and per user. Now this activity takes a desktop formated file as input. It contains for each level the questions and answers charaters to propose. This file can be edited in the game through the config button, in this case a local data file is save under the user’s My GCompris folder and is reused. Now for each country we must provide a data file, this is much better than before where it was fully random and was not respecting the natural difficulties of a language. If this file is missing we create the level automatically from the alphabet (or from the english one for Latin based alphabet) now display the text of the question if we cannot play it for any reason which makes this activity playable even if we don’t have the voice set or the sound is disabled. Also if one letter is missing from the voice set it remains playable. Improved the graphism. based on an openclipart image. Splitted click on letter in two activities, on with lowercase one with uppercase as suggested by Sylvain Dechy. memory sound activity: the tux band background image with the bsd devil is considered offensive in some country. Now the bsd devil looks less like a devil and more like a red little boy. wordsgame activity: changed the text color of the falling words to be back and white I found out that reading text in color other than black and white is very hard. In login.py and tuxpaint, reactivated the config button that was missing. memory activity: fixed several potential crash cases when the memory was run with sound disabled. Now in the hangman, we display the name of the current language. Advanced color activity: fixed color names not to include _ when composed of 2 names. Fixed the 2 click drag mode ( run it with gcompris -g 2clicks). geo-country activity: added the italian country map with 3 sub levels, north, central and south. bar: added the keyboard shortcut ctrl-b do hide/show the GCompris control bar. Now when changing the level, the sound is played before starting the activity in order not to flush the own activity sound. advanced_color: remade this activity based on the new findit engine. details-activity: Fixed the TajMahal level. References to images was wrong. English voices: new recordset of our english voices by Julia Wycherley with the help of Philip Morris. We have 2 students working on GCompris this summer as part of the Google Summer of Code 2011. This year for the first time I proposed GCompris as a project and myself as a mentor. Srishti will be working on adding activities to let non blind children discover the blind world by learning the Braille code. Karthik will let our children discover the music world, an important domain in which GCompris is weak. submarine: Reworked it deeply. It had several stability issues. At the same time, improved the graphism a little bit. Fixed major crash in submarine that arrived when the children won. click and draw: Fixed, it was not starting at all. renewable energy: On some system the wind farm was taking too much CPU. Added 2 new activities to learn to give money make in a shop. This is based on the money activity but now the children must give back money to Tux. Now the erase activity reads the .jpg file in its data directory instead of being hardcoded. In the erase activity we have a large number of animal backgrounds. Now these are found at run time instead of being hard coded. Also the user can add its own images in the directory /My GCompris/erase. Added more animal images taken from wikipedia. New renewable energy activity. Learn about electric dam, wind farm and solar panels works. This is heavily based on the watercycle activity. In money activity, we no more auto check the answer, there is now an OK button Created 3 price categories in money activtiy to make the game more realistic. As suggested by Arnaud Champollion, it is just too easy for the children. improved the drawnumber activity to have its dataset taken from a file instead of hardcoded. Now we have a text file named activity.txt that contains the images and points coordinate. converted .png files in .jpg in drawnumber activity to save disk space. In the submarine activity, we now destroy and reset the frigate motion when we enter the help. Not doing so makes the children loose the game while reading the manual. Major random crash fix. In python activity, a call to gcompris.skin.svg_get() was freeing the skin object but it should not. This resulted in random crashes at any point in GCompris when trying to read the skin svg_handle. Fixed code to compile with the -Werror=unused-but-set-variable gcc new compilation flag. Fixed invisible cursor on 64 bits systems. The propoerty struct is now properly initialized even on 64 bits systems. Fixed by Peter Ujfalusi. Watercycle activity: Added toolips to explain the different items. Fixed a minor race issue. 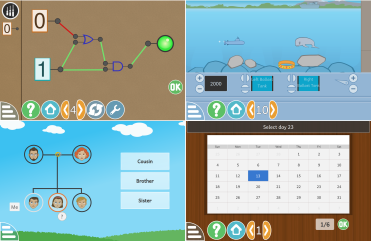 Added a bonus flower feedback in watercycle to let the children knows he completed the level. Thanks to Clara Coudoin for the feedback, it is great to have close beta testers. Added missing image files for money activity. Added missing activity files for drawnumber. Cleanup, removed unused concept of activity board_dir This concept is no more use. Now we use the concept of a global package_data_dir found in the properties. Warning: Due to a last minute packaging issue, this release has been re-issued under the number 9.5. Fixed level 8 of babyshapes. The makefile was missing all the images for this level. I reworked the files so that they lie in the resource directory instead of subdirectories. Added details activity by Marc Levivier. In the spirit of famous painting discovery, in this activity the painting is complete and the children must put painting parts on the right places. New feature in the chat activity. The user has a shared white boards now. This has been developped by Fionn Ziegler. First release of an in progress tool that converts wiktionary xml dumps in an xml file. For now, it works only for French, this page tracks the progress. The idea behind this is to get an xml formatted dictionnary to create new activities in the reading / writing area. For now this is just not used in GCompris. In planegame now the numbers are spoken when the plane hit the correct cloud. Added the option —disable-level. Some teacher want to be sure the children don’t skip a level. Now the click on letter activity can be played also with the keybord. This has been suggested by Sini Ruohomaa. Fixed reference to tuxpaint dataset. Now we display saved tuxpaint images in our image selector again. Thanks to the person in Latinoware 2010 who reported me that this feature has been lost. The configuration of the ’missing letter’ activity was not working for UTF-8 multibyte characters (bugzilla). Added a tooltip to better explain the different fields. Refined the sudoku’s level for scholl usage (By Sylvain Dechy). Back from Latinoware in Brazil, it was a great experience for me to go that far and discover how much GCompris is appreciated. I met the organisation sleducational.org which is focused on free software in education and driven by teachers. They are making a great job in explaining how free software can be used in day to day training. They know pretty well GCompris since Frederico, the team leader, is also the translator of GCompris in Brazilian Portuguese. To me, it is an excellent news to see an organisation taking our work further and providing a local support to teachers in Brazil looking for educational tools. Also, I got a lot of feedback and this is mandatory to make sure we continue to be focused on the needs of our users. And of course it gave me a lot of new ideas for GCompris, just need to find some time to code, hopefully when the release 9.4 will be released. PS: The mug offered by sleducacional to Bruno. 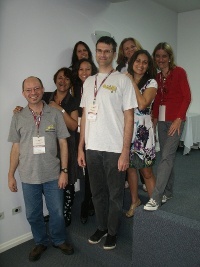 I will be in Brazil at Latinoware 2010 from the 10th to the 12th of November. It will be a pleasure to meat you there and discuss about the future of GCompris. This version is a minor update of the 9.2. The main new feature is that we now distribute a MacOSX version (Intel 10.4 and above). Fixed superbrain by Julian Gilbey. In some case the proposesed solution was wrong. This is a long lasting bug. Added support for MacOSX 10.4 Intel. Updated icons to reflect latest art work. Removed flags from GCompris. Flags create political issue. There is not always a clear relationship between a country flag and a language. Fixed a typo in sudoku tutorial. Improved graphism new skins babytoy by Cabaraux Stephane. Improved many graphism (connect4, ballcatch) by Cabaraux Stephane. Added a copy of gnome-gnuchess internally since the regular gnuchess crashes on macosx. This is activated only on MacOSX. Fixed missing translation request for the "Yes I Saw it" string in the reading activity. Workaround for the fullscreen mode on macosx. now set a huge max ratio hint when fullscreen is set. Added an ongoing progress status at GCompris startup. This is used to avoid the long delay at startup without user feedback. Fixed the audio tooltip in the bar. Fixed a segfault in the GCompris dialog box. New activity lights off by Bruno and Clement Coudoin. Added more simple levels in lightsoff. More art work content for photohunter activity Contributed by Marc Levivier Based on paintings by Le Douanier Rousseau. Improved wordsgame activity to support language selection. Now we give 4 chances at each sublevel. After that the sublevel restarts. Fixed redraw activity, several level was impossible to complete. There was many colors in the image target that was impossible to do. Fixed SDL audio backend to allow playing with effects and no backgroundd music. Fixed usa map due to missing rhode island. Updated French translation by Zohra Coudoin. Fixed geography activities. Many dot where missing, hidden by the background. Fixed drawn case in the chess activity, it was ending in an infinite loop. Improved a little bit the layout in the penalty activity. Replaced the yellow by white the text color of the score. Now the text dialog is centered in the height. Added an API entry to get the current cursor. This allow the help dialog to get the previous cursor, set the default one and change again to the caller one in the end. In erase activity, the sponge cursor is setback when exiting the pause state. This allow the about box to set the default cursor which is more suitable. In the menu, the display of the description is now centered. Minor change, better layout. In python, now import sqlite3 instead of pysqlite2 For backyard compatibility, there is a fall back to sill import pysqlite2. Fixed algebra activity to report the level properly. Better error checking in case the database cannot be loaded or created. Before that patch, a failure was exiting the startup sequence without warning the user Now, in case we cannot load the database of cannot created it we follow the procedure: - rename the database under the name gcompris_db.broken - recreate it from scratch - we failed again, fall back in no database mode. In short, this release is a bug fix release of the 9.0. It is mandatory for all packager to use this one due to the large number of problems we fixed. If you prefer, on the git side, this comes from the ’gcomprixogoo’ branch. Now the group menus are ordered based on an embedded difficulty level so that they appear in the same order. Removed unused import rsvg in watercycle and penalty. PACKAGERS: This mean we no more need on python-rsvg. scale Added a sign on the scale The scale activity is sometimes annoying because you cannot easiliy see which side the scale goes. I added a sign < > or = on it to ease the task. erase Fixed events on the canvas that where not taken in account. Now clicking beside the fish does speed them like it was before. reversecount Fixed reversecount, it was not restarting on loose case. Now when the children loose he restarts the same level. follow line Adapted the follow line to work on touch screen. This was reported by Ronny Standtke. Now not only the motion events are catched but also click events. animation activity Added tooltip in the animation activity. smallnumber Fixed a crash case in smallnumber activity. This has also been improved to avoid overlaps of dices. Fixed smallnumber2 activity regarding dice pair not close enough. electricity Fixed electricity activity, image was referenced badly. geography Added translation on tooltips in the geography activity. missingletter Fixed missingletter crash uppon changing its locale. erase double click Reintroduced the erase double click activity. memory word number Fixed memory word number activity. It was broken related to translations. smallnumber No more display the sublevel 11/10. ball catch Added the manual in the first start of ballcatch. traffic Simplified level for traffic. A contribution from a French teacher Sylvain Dechy who teaches in Hérimoncourt. This introduces a set of simplified level in the traffic activity best suited for children. tuxpaint Fixed tuxpaint activity. Was completely broken. memory sound Now in memory_sound activity the intro is heard. melody Added an OK button to start the melody activity. This avoids the intro voice to be skipped. After two years of work, the GCompris development team is happy to share with you the release of the version 9.0. GCompris is almost 10 years old and it required some deep code restructuring. This release brings many mandatory changes to make it easier to enhance, maintain and distribute. The first major change has been driven by the Sugar community. On the XO there was a need to distribute the activities individually. Since the early days of GCompris, we had properly separated the core engine and the activities but the laters were shared in a single folder. Now each activity in GCompris have a single directory. This includes its code and its data (menu, icon, images, sounds, data set). Beside allowing per activity distribution, it is also makes it easier to contribute to GCompris, there is even an activity called pythontemplate that can be used as a starting point to create your own. The second major change has been to replace the old, unmaintained gnome-canvas toolkit by the more modern, Cairo based toolkit named goocanvas. This makes the rendering of GCompris much better, we now have an alpha channel and the antialiasing. The third change is our skin format that is now fully SVG based and uses the elements IDs. This way creating a skin can be done by editing a single file instead of 70 files. The last change is the image ratio (width versus height). In the old version we were using 800x600 (4/3) and could only do fullscreen by changing the screen resolution. Now, to accomodate newer monitors, we are using the 800x520 resolution which is wider. But GCompris playing area is not smaller because we managed to replace the big button bar to something more integrated. The full screen is done by rescaling ourself, you can even rescale GCompris in window mode. A good side effect is that GCompris can be used on big monitor and on smaller devices. Beside the major changes, there has been a lot of minor changes all around, it would take too many time to report all of them. The new graphism from Stephane Cabaraux for the canal lock and water cycle activities. More famous paintings by Marc Levivier. A full rewrite of the animation activity that allows now editing previous frames at will with a time line. A new mode for our scale activity where the children now learn the weight units gram and kilo by Wolfram Sang. I you can see, we make a lot of work and now we need your help to report us bugs or send patches to stabilize it. Thanks to all the contributors and supporters of all kinds who provide help to GCompris. Windows users, please be patient, I will work on it as soon as the 9.0 is stabilized. I would like first to apologise towards the Portuguese children and teachers who have faced the translation issue. A special thanks to our Gnome Portuguese translation team, Duarte Loreto and António Lima. They spent the week-end working on a rework of the translation under the pressure of the bad press we have been facing in some Portugal’s news paper. GCompris supports over 50 languages and its a community based effort. Yes in some case we may ship incomplete or incorrect translations. We have always considered that we need to start somewhere and that an incomplete translation is better than no translation at all. This has worked pretty well so far because once people sees that the translation is not correct they join the project to improve it. Over the years, the Gnome Translation team gets stronger but for historical reason I kept the bad custom to release po files myself. I now understand how wrong I was. I call again the Gnome translation team to take over the languages I still commit myself. You can find which in the po/ChangeLog file. So this is pretty unusual for us to be in the headline. I hope this will calm down so we can go back to what we like to do, help the children learning. Miguel DE Izarra implemented a word selector. Now the teacher can easily put their own words in the reading and falling word activities. Integrated several patches from Vitali Perchonok related to Right to Left languages support. Matieu Ignacio: New original background for the target activity. Vitali Perchonok provided several images from OpenClipart to replace ours. Miquel De Izarra Added support for editing the content of the missing letter activity. Fixed the empty date field in the admin section on Windows. Now properly points use images in My GCompris/Images In the animation activity, the image selector will display all images from this directory. gnet library is now enabled by default at compile time. he.po: Updated Hebrew translation by Jorge Mariano. ka.po: Updated Georgian translation by Gia Shervashidze. pt_BR.po: Updated Brazilian Portuguese translation.